Great Ķemeri Boardwalk. 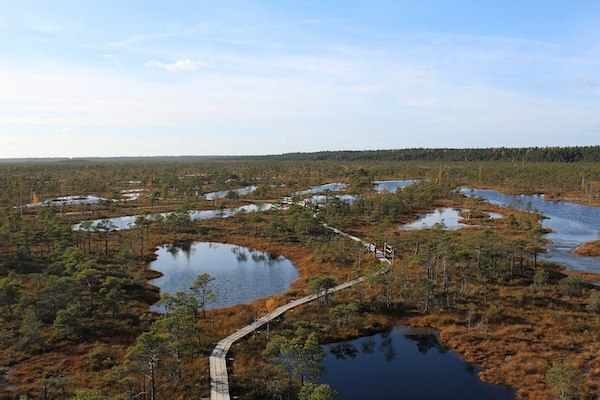 Loop of up to 3.5 km along this boardwalk, with great views of the bog and lots of birdwatching opportunities. Information. Sloka Lake Walking Trail. Loop of 3 km or as long as 12 km. Forests and lakeshore. Information & Map. Dune Run. Up to 14 km circular route, through and around dunes, and some forested sections. 2/3 gravel roads, 1/3 paved roads. Information & Map. Valguma Lake. A ‘barefoot path’, numerous bike paths, and numerous other lakeside and forested paths that are great for running. Ķemeri Spa Tour. A ‘runseeing’ tour of the town of Ķemeri, which was a grand spa retreat in the Soviet era. Interesting buildings and history. Information and Map.